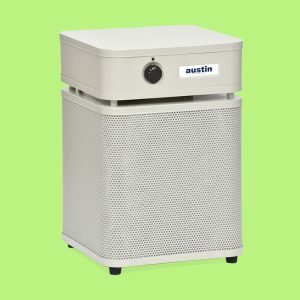 The Austin Air Baby’s Breath® will give your baby the clean air they need. We all want to give our babies the best possible start in life. 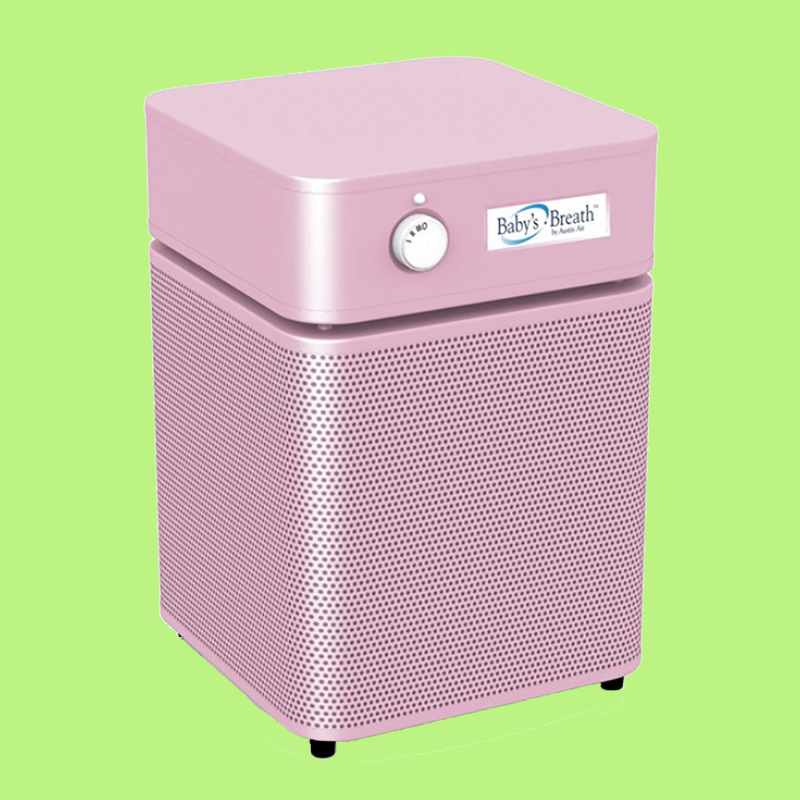 Invest in an Austin Air Baby’s Breath® and you will have complete confidence that the air in your baby’s bedroom is as clean and safe as it can be. Choose from either pink or blue to suit your nursery needs. You can also order your Baby’s Breath® with wheels for ease of use. Who should consider the Baby’s Breath®? Why is the Baby’s Breath the best choice® for me? 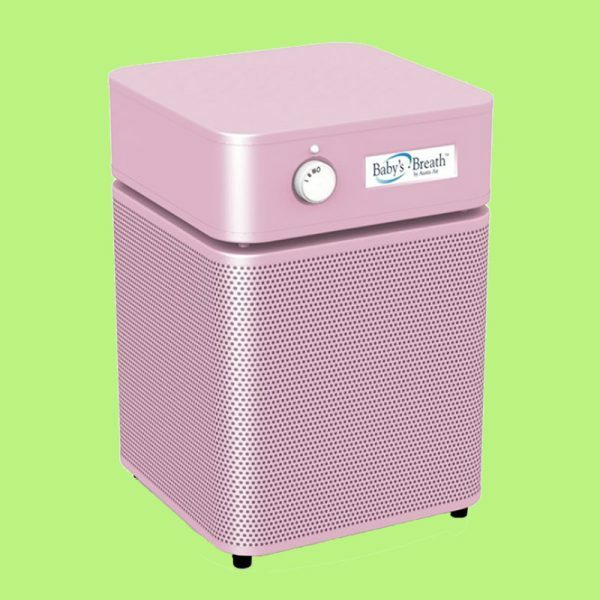 The Baby’s Breath® provides relief for those suffering from asthma or every day and seasonal allergies by removing sub-micron particles such as pollens and dust mites as well as chemicals and noxious gases. 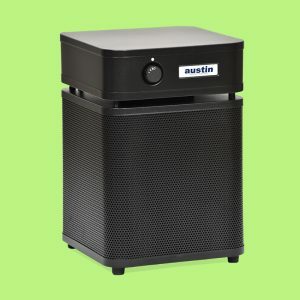 Austin Air’s 360-degree intake system draws air into all sides of the Baby’s Breath® passing it through a 4-stage filter. The result? 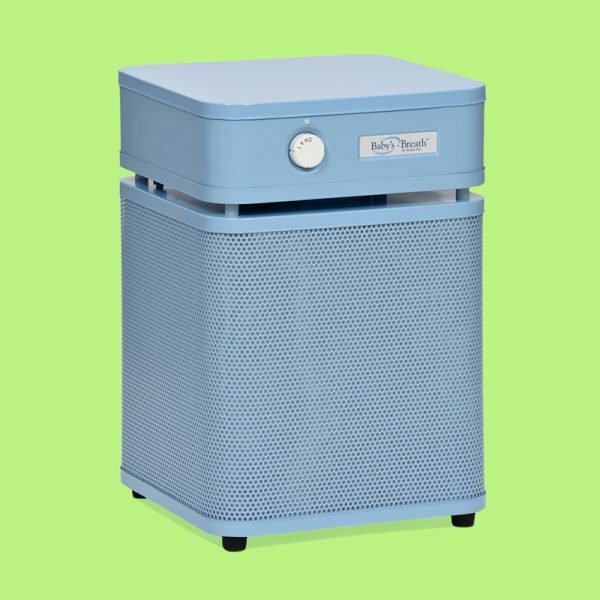 Clean, healthy air in your child’s nursery when they need it most. 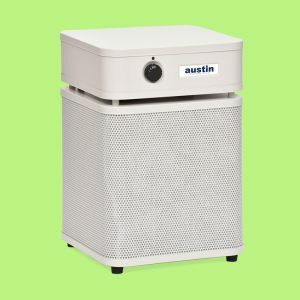 Replacement filter for Austin Air Baby’s Breath®. 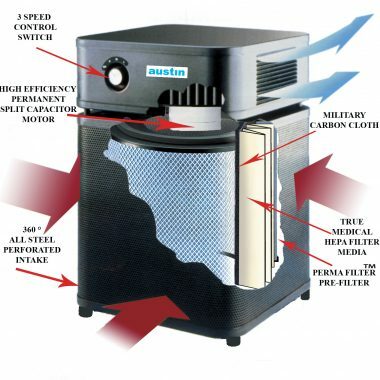 The Austin Air Baby’s Breath® Filter integrates HEGA technology, originally developed by the military to protect against a wide variety of chemical, biological and nuclear agents. 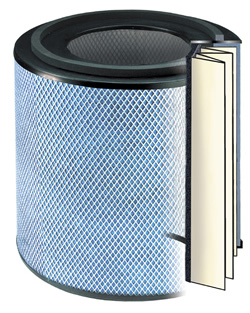 The HEPA filters 99.97% of all particles down to 0.3 microns in size and 95% of all particles down to 0.1 microns.